You can easily limit the amount of TV/Game console time during the week to ensure that homeworks and studies get done. For example, at my home, during the week, the TV linked to the console only turns on at 6h pm and shuts down at 7h30 pm. This ensures that all homeworks or chores are completed beforehand. Those schedule times were defined in consultation with the kids to avoid conflicts as much as possible. 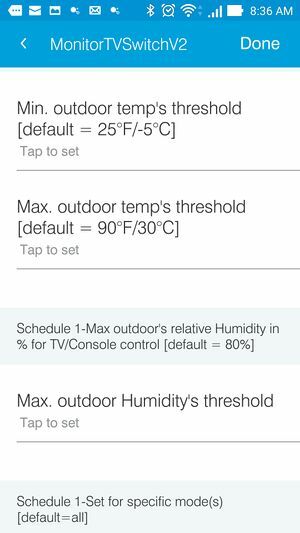 Other access control parameters can be used such as weather conditions (raining/snowing, humidity index, min/max temperature thresholds). 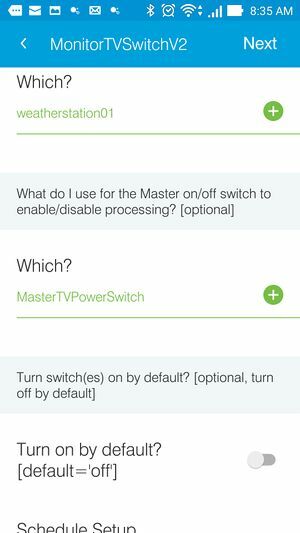 TV or Game Console hooked up to a ST-connected switch so that the smartapp can send the on/off commands to it. 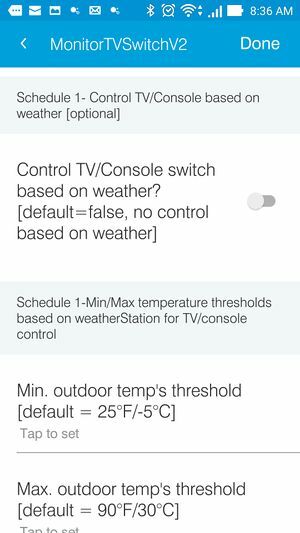 For each schedule, you can define if the TV or Game Console Switch is also controlled by the weather conditions (ex. 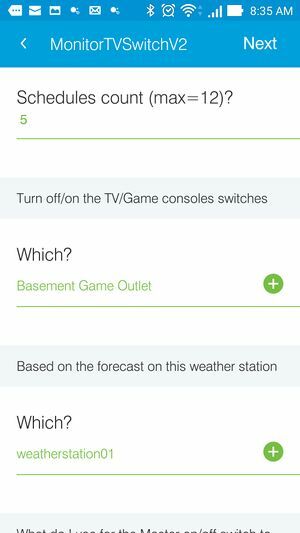 raining/snowing or minimum/maximum temperature or humidity thresholds may be additional criteria to turn on/off the TV/Game Console). Multiple switches can be controlled at the same time! 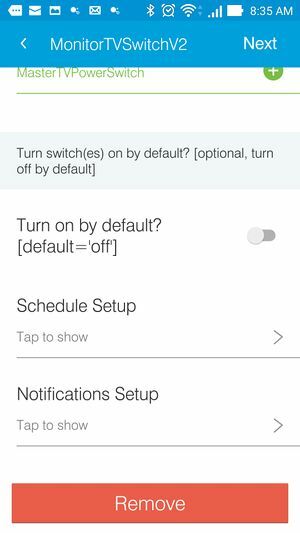 a) On the last page (Notifications & Other Settings), set the following input parameter to true (at least at the beginning) to get detailed notifications on what the smartapp does. You can change this setting later when it's no longer needed. b) In Schedules setup, make sure to set the right day of the week and start & end times for each schedule. 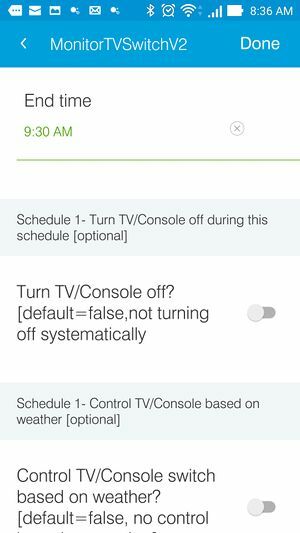 You may not want to run your schedule for all routines, if so, make sure that the right ST hello mode is set. 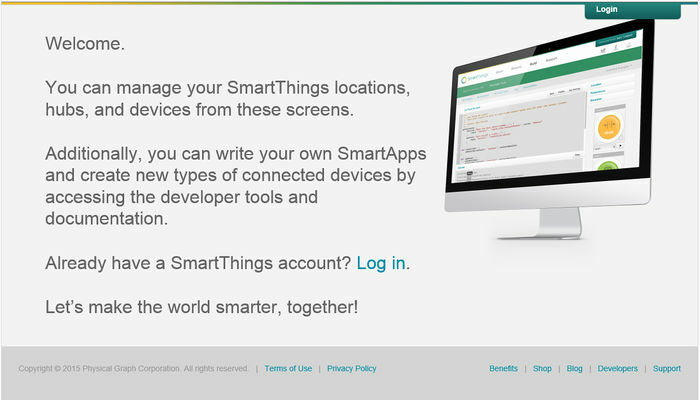 Go to https://graph.api.smartthings.com/ide/logs, and click on the smartapp at the top. 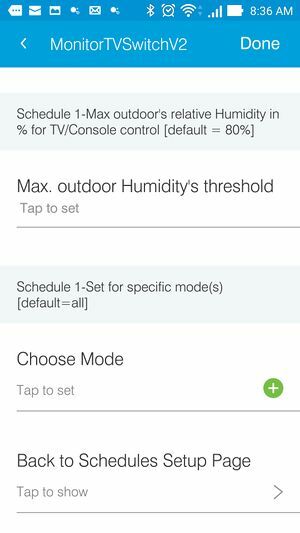 Look at the debugging trace to know why your schedule is not running or your vents are not adjusting, and correct the smartapp's parameters accordingly. e) You may run the smartapp manually to test your schedules. 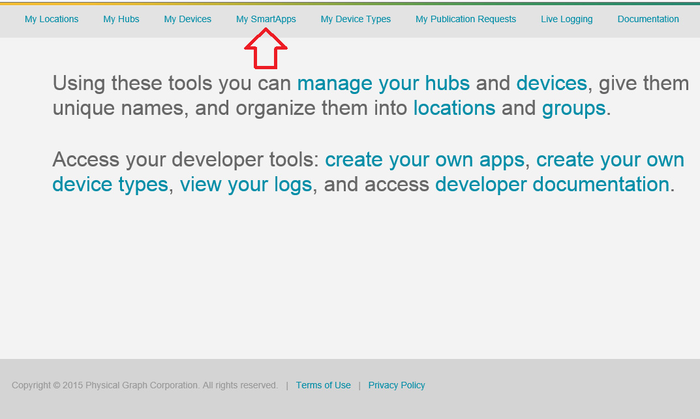 Click on the arrow icon on the smartapp in order to run it manually. You can check in the logs as indicated above to debug your scheduling issue. 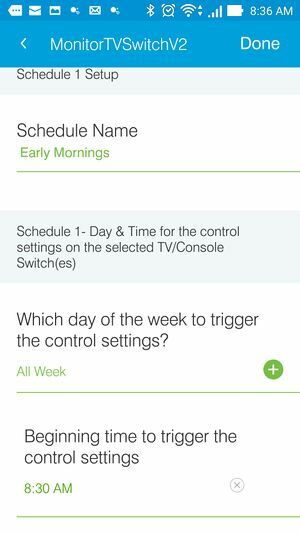 By doing so, you will understand the smartapp's logic a little bit better and adjust your schedules' setup accordingly. 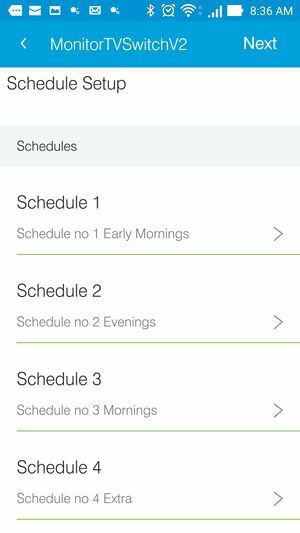 In the smartapp, schedules can override each other, but you may want to define the generic ones (or default ones) first (schedules 1,2,3 to give access), and then, the specific ones after (ex. schedules 4,5,6 to restrict access) to set the right access controls. Please follow the steps specified in 3) above in order to see the detailed logic followed by the smartapp.